Shooting every week, sometimes I will go do a shoot and completely forget about posting the photos. Usually, it’s because it’s for a magazine and they’ll end up using one or two shots. Meanwhile, there’s forty or fifty winners just sitting on the hard drive, never to be seen. Here’s a couple from DREAM.16 in Nagoya. 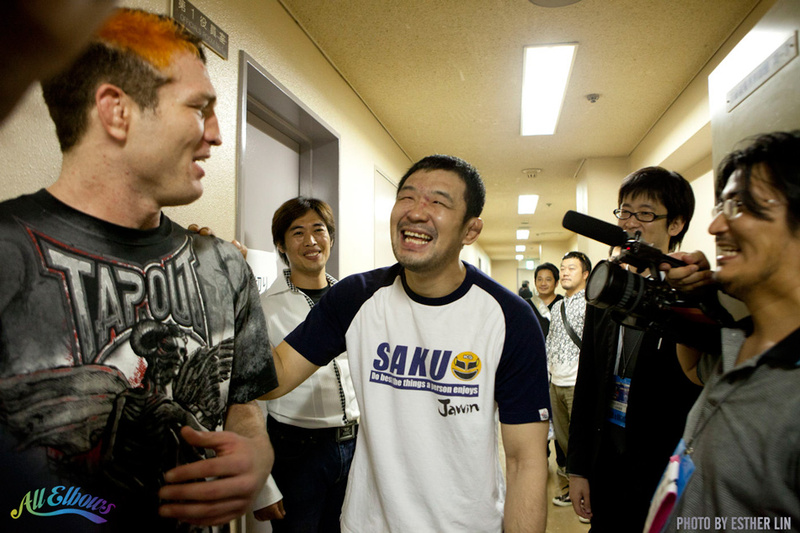 I had the fortune of being backstage with Jason “Mayhem” Miller. FIGHT! Magazine ended up printing the obvious winner of the night but so many photos just faded into my archive. 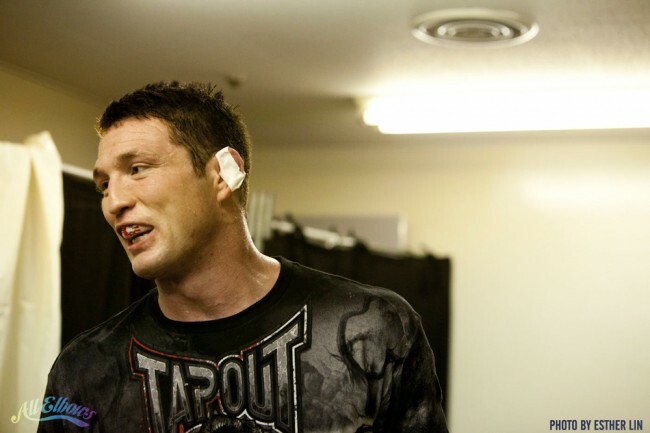 Jason put tape on his ear as a tribute to Sakuraba. The ring announcer is introducing Sakuraba. Jason waits in the dark. And last, this is a photo taken on my iPhone by Patrick Durkin Cummins. I was allowed to step into the DREAM ring — it was well, a dream come true. I had to get photographic proof that I was there, stepping on that pristine white canvas. Not that it matters, but if you’re wondering, I am wearing an Isabel Marant dress. I LOVE Isabel Marant. I don’t know how I came to love so many random French fashion brands. And no, I didn’t pay full price for it. Found it in a rummage sale. And yes, it felt as amazing as you might imagine. Tomorrow I’ll post a few more from the other fights on that card that I managed to shoot between running backstage and what not. 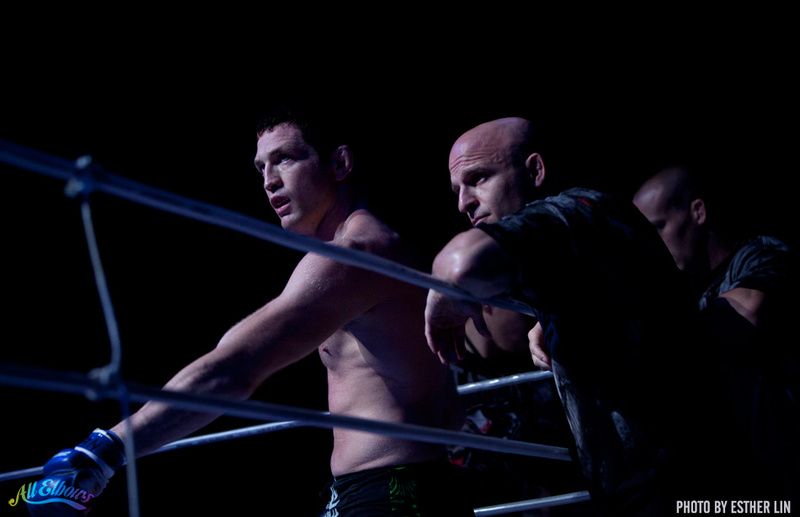 2011/12/12 | Filed under Japanese MMA, MMA, Photo and tagged with dream 16, nagoya.